You carry a .380 ACP for self-defense because it has a lightweight frame and incredibly minimal recoil; it’s easy to conceal and fun to shoot, and really, what more could you ask for? Affordable practice time! With the help of M.B.I., your hours of practice just became infinitely more affordable. M.B.I. – Military Ballistic Industries – is known for their successful production of high-quality reloads; you don’t want just anyone manufacturing your reloaded rounds, and years of success have proven M.B.I. to be a leader in the industry. Their once-fired brass cases are carefully selected and all other components are brand new. 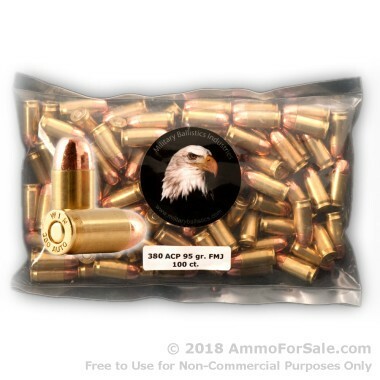 These remanufactured .380 ACP rounds are fairly lightweight at 95 grain although it is considered a standard load for the cartridge. You won’t sacrifice your minimal recoil with these rounds and because they’re FMJ, they’re perfect for target practice, tactical training, and plinking. They’re manufactured to be non-corrosive for less friction in your gun’s barrel, and shooters who have used them praise their accuracy at close range. They have nice speed and make a good, solid impact; overall they’re just what you need if you’re trying to improve your marksmanship skills with your .380 ACP. You get 1,000 rounds in sealed plastic bags when you place your order. That’s 1,000 opportunities to fire your favorite gun at the range or your preferred outdoor spot, so what are you waiting for? Need more? 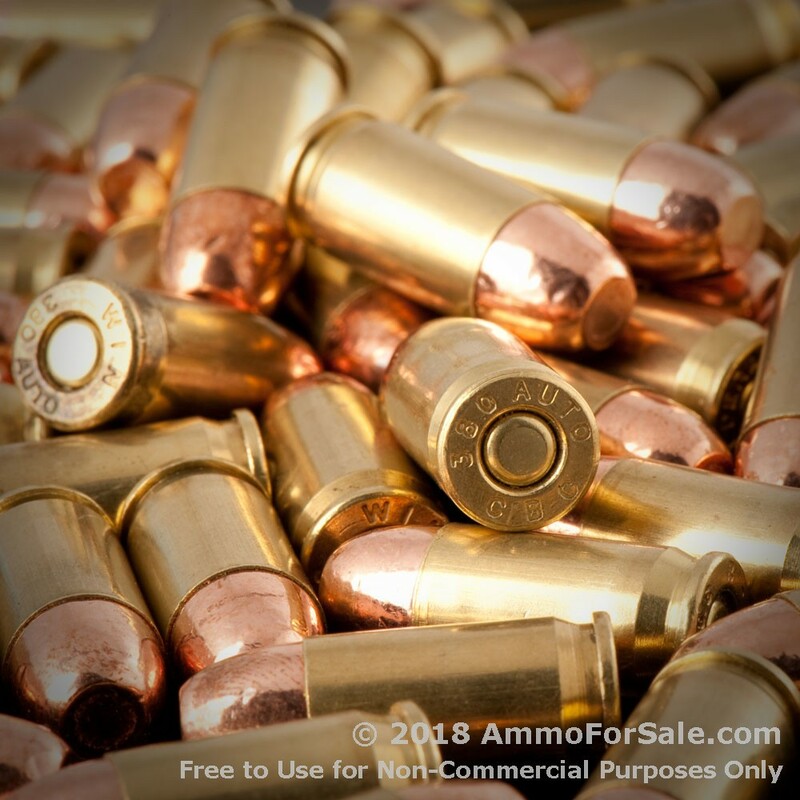 Well, this ammunition is produced in brass cases with boxer primer, so you can reload; you’re getting even more bang for your buck. If you’ve never tried remanufactured rounds, now’s your chance to order some from an American company with a stellar reputation.